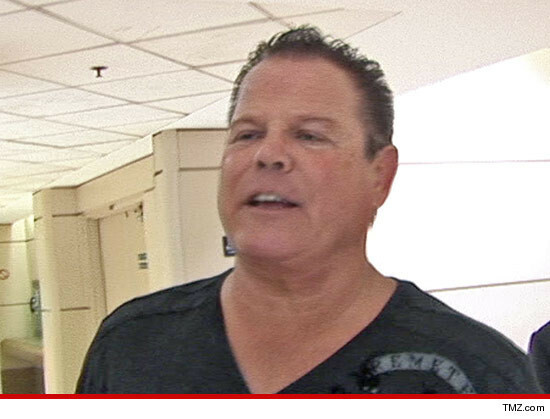 Jerry "The King" Lawler is making tremendous progress after suffering a heart attack earlier this week ... and is now awake, alert and responsive ... this according to Lawler's son. TMZ spoke with Kevin Lawler ... who tells us, "[Jerry] is hooked up to tubes and is still not able to speak … but he's writing stuff on a notepad to talk to people." Kevin says the family was concerned about brain damage because Jerry wasn't breathing for several minutes after suffering the heart attack ... but doctors say so far, it appears Lawler's brain is fine. As we previously reported, 62-year-old Lawler suffered the heart attack on live TV on Sept. 10 during a taping of "Monday Night Raw" in Montreal.